On Tuesdays we focus on the moments when the teams get into trouble. But Ryan breaks the pattern this week, and shares with us a moment when a team went from a problem, so a pattern of excellence. Listen in to learn how the team Ryan was working with took responsibility for a serious customer problem, and quickly rallied to a solution. So quickly, in fact, that the customer even emailed them to thank them for their work! “Kanban” is one of the movement’s most praised books. 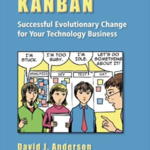 In this book David Anderson introduces his view on how Kanban can help with introducing change in an organization. Ryan particularly liked this quote: “we do kanban because we believe it provides a better way to introduce change”. Ryan is a former waiter, car detailer, line worker, cemetery worker, intern, financial analyst, tech support rep, team lead, QA manager, Scrum Master and Product Owner. Current husband, father, school board member, community volunteer and agile coach. 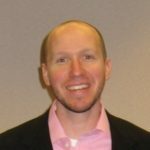 He believes in building trust and social capital, which is not easy for any of us (himself included)…Ryan does his best everyday to help teams make this happen. You can link with Ryan McCann on LinkedIn and vist Ryan McCann’s website at: MaybeMyDesk.com.